If you’re looking to pound the pavement or hit the trail in or around Philly, your search for running spots is over! From short sprints to long runs and city streets to off-road routes, we’ve searched high and low for the best places to hit the ground running (literally!). 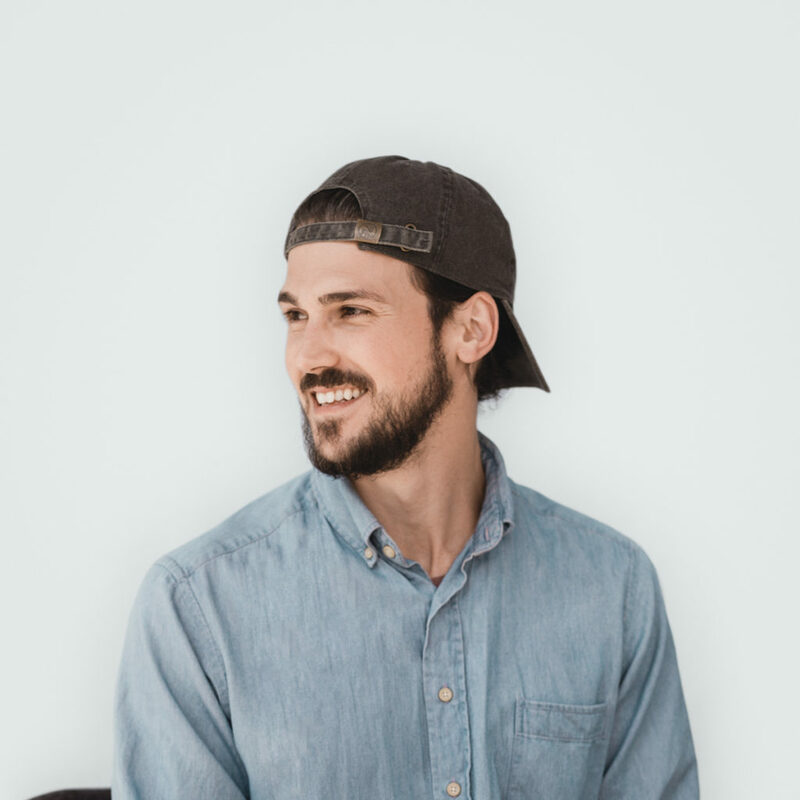 Now the only thing you have to do is lace up your sneakers and put one foot in front of the other because the run route reconnaissance is already done. So whether you run for fun, or you’re training to win, these 12 places are prime real estate for every Philly runner. 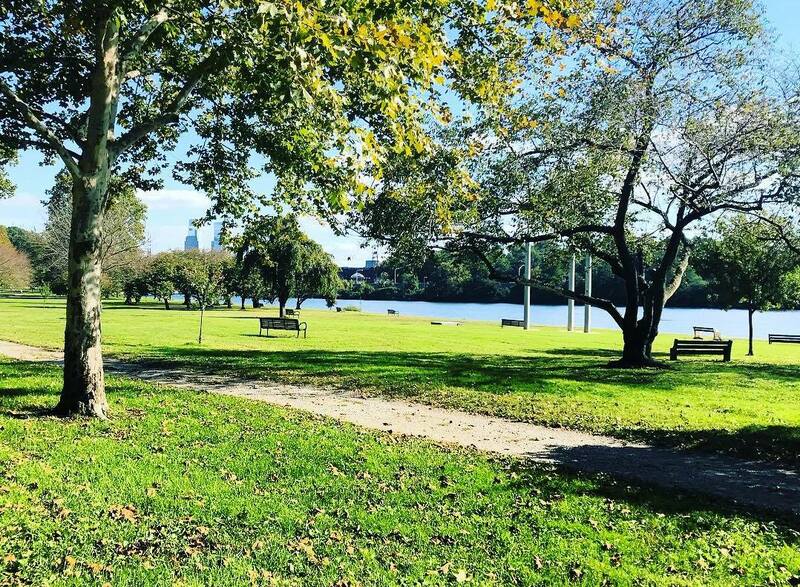 A go-to for runners all across Philly, Kelly Drive is a popular spot for breaking a sweat in the city. Whether you’re planning a casual run to clear your head or a more serious training session in preparation for an upcoming race, this route will do the trick. Get started with a 4.5 mile run from Falls Bridge to the steps of the Philadelphia Museum of Art (cue the Rocky theme music!). Or extend your route by circling back to your starting point, staying the course until you hit the Schuylkill River Trail, or making a loop back to Falls Bridge via MLK Jr. Drive. If you’re looking to go long, look no further than the Schuylkill Banks Trail, which feeds into the Kelly Drive Loop. As the name suggests, you’ll travel along, and on top of, the Schuylkill River. Some 60 miles of trail have been completed, so there’s no shortage of options. South Street to Phoenixville is a solid 26-mile run. And East Falls to Valley Forge clocks in at 20ish miles. At some point, you’ll also want run by, to, or from the Schuylkill River Banks boardwalk. 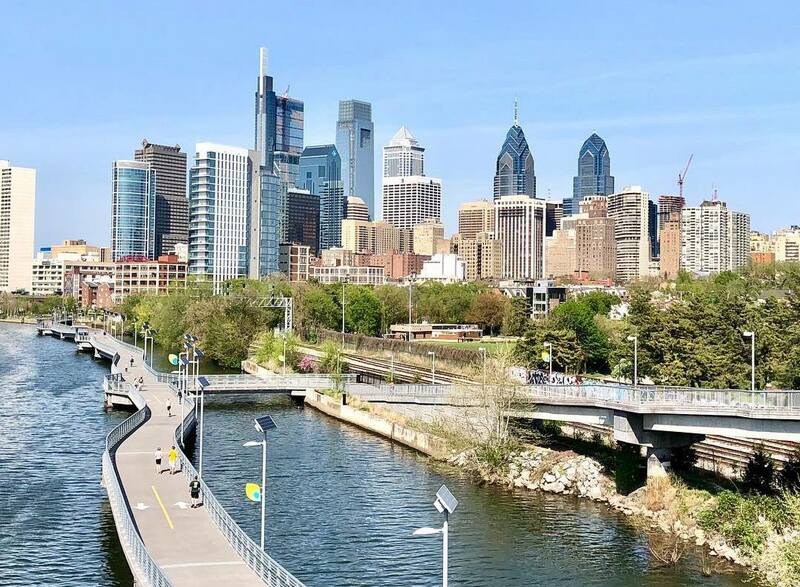 With all this awesomeness, it’s no wonder Schuylkill Banks Trail was named the Best Urban Trail in America. 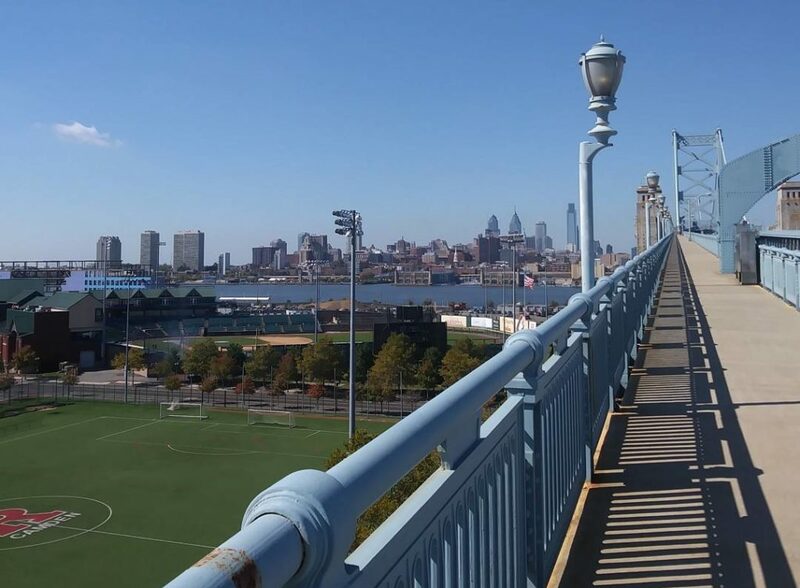 If the thought of running upwards of 20 miles makes you cringe, kick a quick run across the Ben Franklin Bridge instead. Trust us, you’ll be glad you did. Make your way onto the bridge via Race St. or Penn’s Landing. From there, use the pedestrian walkway (or runway in this case) to get things going. When you do, you’ll realize you’re in for a little uphill climb to access the walkway. Pick up the pace and prepare for your reward — a fantastic view of the Philly skyline. Make your way to Jersey and back, then call it quits. Fitt Tip: give this run a go at sunrise or sunset. And when winter rolls around, you won’t have to find a new route. The runway is cleared in salted and morning for your early bird runners. Okay, the name is a little misleading. Truth is, this path is only off limits if you’re in a car. Which means if you’re on foot (we’re looking at you, runners) you’re in the clear. 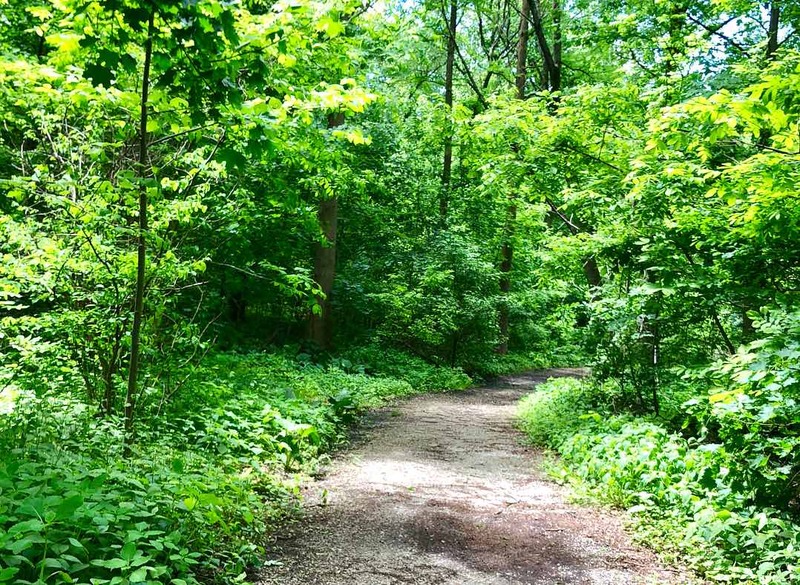 Go back in time and into the wild along this 5.5-mile shady, gravel path in Wissahickon Valley Park. 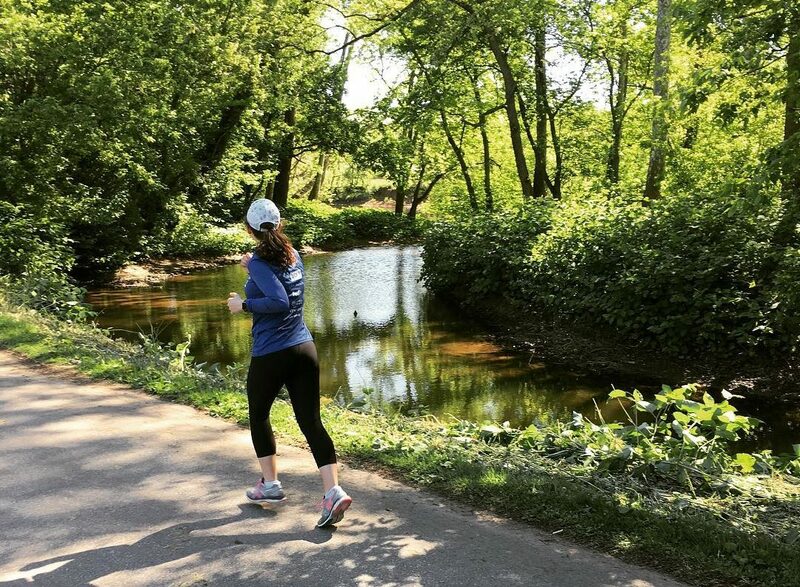 Leave your headphones behind and tune into nature as you run beneath the trees and along the bank of the Wissahickon Creek. Be on the lookout for horses. And consider a refuel or post-run snack at Valley Green Inn or Cedar House Cafe. Love what the Forbidden Trail has to offer, but need a longer route? 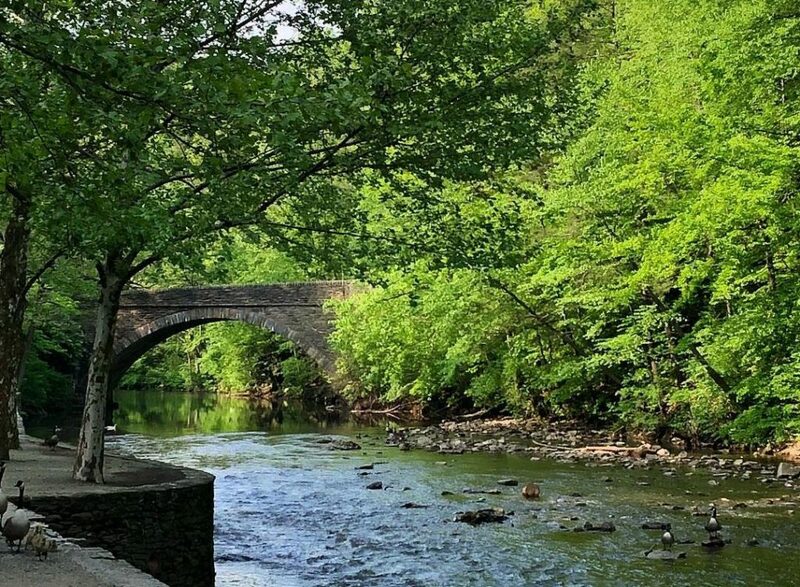 Take a trip to Northeast Philly for a nine-mile run in Pennypack Park. The fact that it’s within the city and easily accessible from I-95 is also a plus. Follow the gravel and asphalt trail as it winds through the forest, fields, and alongside a stream, and get your daily dose of exercise and fresh air all at once. 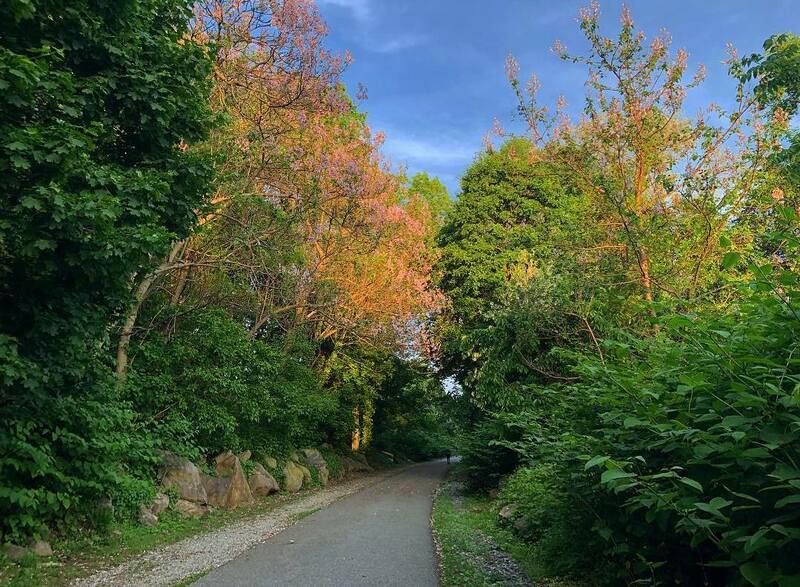 Find out what Franklin Delano Roosevelt Park has to offer while following a three-mile path around the park. Experience the calming effects of running near the peaceful ponds, or snap a quick photo of the picture-perfect lake house for all your runner friends to see. If three miles doesn’t do it for you, head south and you’ll find the Navy Yard. This area along the river offers sights of boats being built right before your eyes. If you’re looking to do some exploring that doesn’t involve running, be sure to check out the American Swedish Historical Museum nearby. 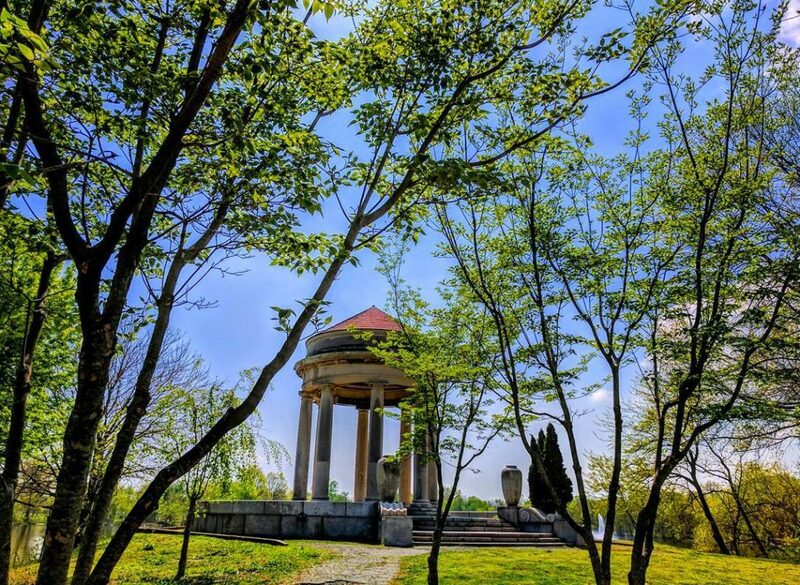 If you’re looking to escape the busier running routes like Kelly Drive and FDR Park, head to Cobbs Creek Park in West Philly. 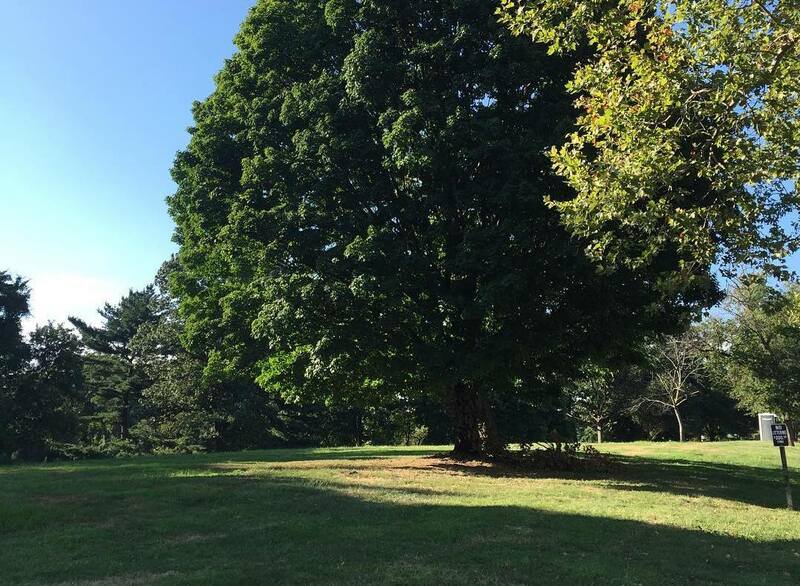 The Park is easily accessible from 63rd and Market or the Cobbs Creek Parkway. Once you arrive, you’ll encounter plenty of ways to mix up a dreary running routine, like exploring off-shoot trails leading to the creek and scenic ruins of an old cemetery. 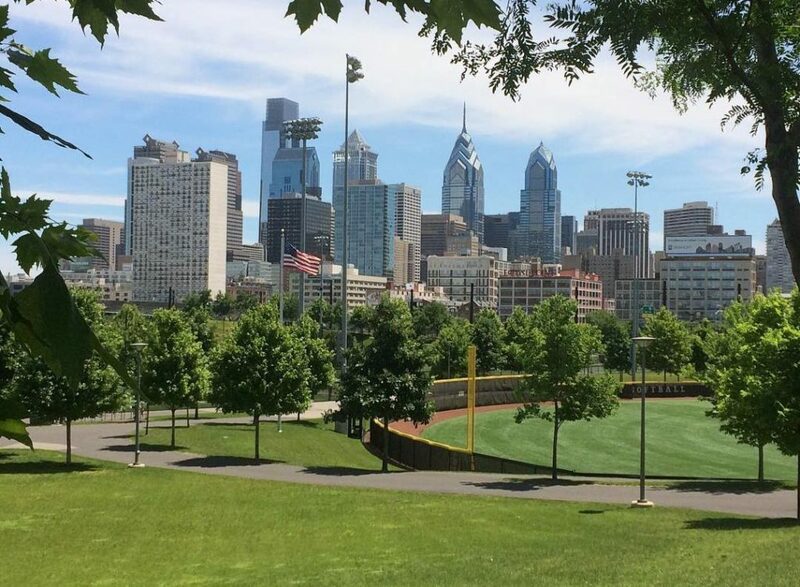 Where do you go to crush a quick run workout in University City? Maybe you have a little bit of time on your lunch break and you need to get some speed work in. Or you’re just looking for somewhere to run some sprints. If that’s the case, Penn Park is your place. You can thank Penn for sharing this gorgeous park with the public, offering clearly marked paths of the half-mile, three-quarter-mile and full-mile variety. Hitting this spot for a mid-day, or post-work run is the perfect power through or finish to your workday. Kelly Drive is cool and all, but it’s a bit of a cluster. The crowds have caught on to the fact that it’s a great running spot, and it can be a bit much. If you’re picking up what we’re putting down, it’s time to make your way to a new sweat spot. 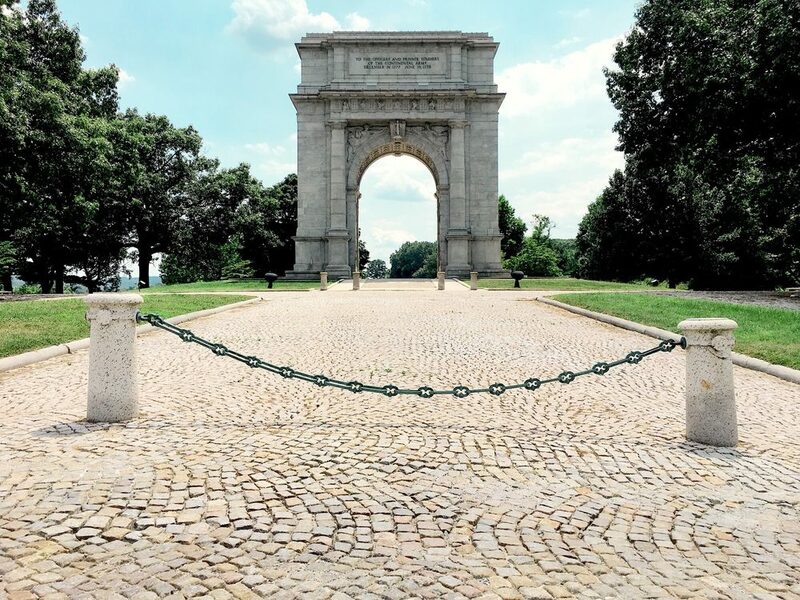 Why not head off the beaten path and up to Fairmount Park? Boxer’s Trail is a 3.8-mile route named for the training runs of one Philly’s beloved non-fictional boxers, the legendary Smokin’ Joe Frazier. Float like a butterfly, sting like a bee, and run like the wind. 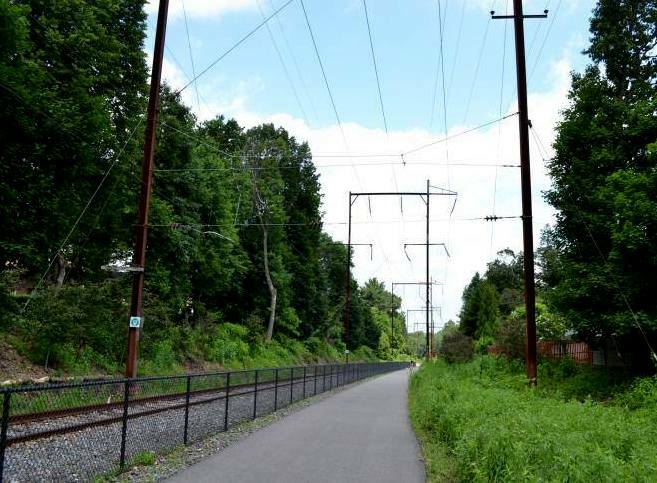 Just outside of Philly, you can access the Cynwyd Heritage Trail, a scenic two-mile park and rail trail connecting the Manayunk Bridge to Lower Merion Township. Whether you’re extending your SRT run a bit or are working on some shorter training runs, this rustic path is rife with remnants of the railroad past and the area’s industrial history, complete with signs giving you the low-down (don’t worry — you won’t be tested on this). 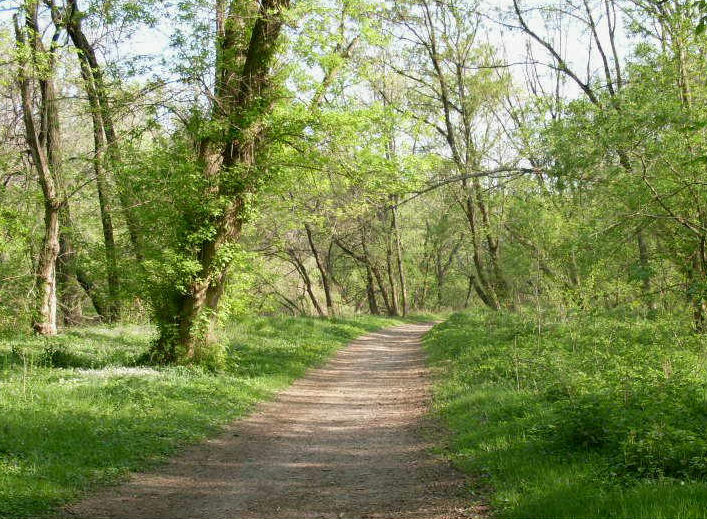 Embark on a short run through the suburbs by accessing the Radnor Trail in Wayne. This 2.4-mile stretch of trail is paved, making it perfect for walking or running. If you’re looking to do some speed work or intervals, there are mile markers every tenth of a mile that make monitoring distance a breeze. Plus, parking is easy to come by at Conestoga Rd. and the St. David’s Shopping Center. If you start at the shopping center, you can make your way along the trail, past Wayne Art Center, and back for a five-mile run. So this spot is obviously not in Philadelphia, but it’s definitely worth the trip. Escape the city and climb some hills for a history lesson, on the go. Of course, there’s more to this park than hills and history. There are more than 30 miles of trails to cover, including the Joseph Plump Martin Trail. It’s one of the more popular paths in the park. And for good reason, too. This five-ish-mile loop includes a part-grass, part-dirt path running past historic landmarks along rolling hills.